The problem with technological innovation in the brewing industry is that it usually means better logistics for the boring industrial beers, while the quality brews are stuck with the old solutions. There are exceptions, of course. Disposable kegs have done wonders for the distribution of craft beer around the globe. 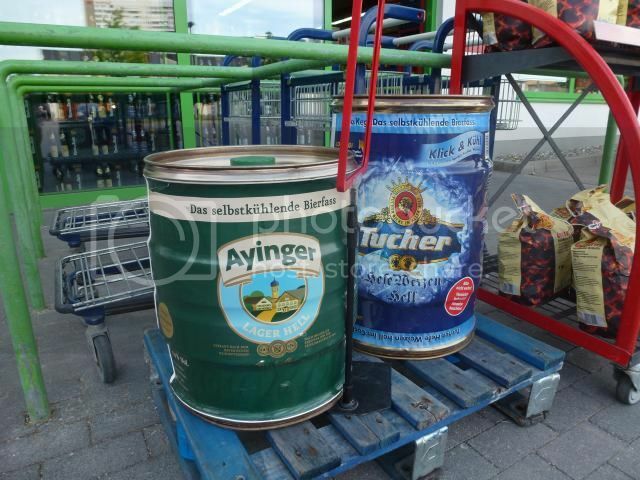 And in a Getränkemarkt on the outskirts of Augsburg i found these. Self cooling kegs for your anniversary, office party or whatever. With Ayinger Helles. I could think of other beers that I’d like in units like this. Fuller’s London Pride or Nøgne Ø Saison are my candidates.